Superdry women’s Antarctic Explorer Down parka jacket features an 80/20 premium duck down filling and a medium fill power rating, making sure you keep warm in the colder months. 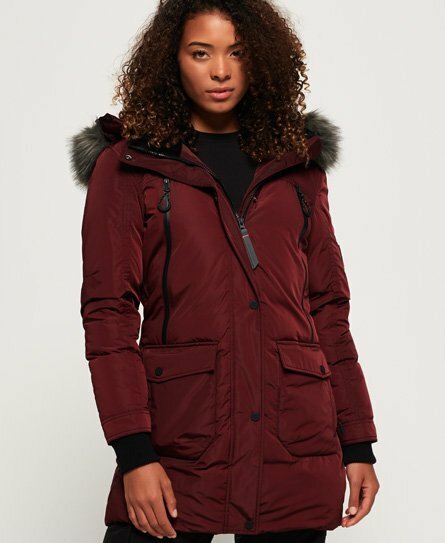 This light tech parka jacket features, a detachable hood with a detachable faux fur trim, zip and popper fastening, six front pockets and one internal pocket. This parka also has pit zip venting, coated zips to keep you dry, elasticated cuffs and is finished with rubber Superdry logo badges on the arm.